This so-called skills gap – the mismatch between the skills that are in demand and the skills of a worker – is a real problem. Workers are missing out on great opportunities and our economy isn’t reaching its full potential. If you look at the website Ohiomeansjobs.com, there are more than 135,000 jobs available in the state. And yet we know that there are more than 260,000 Ohioans who are unemployed. How could that be? If you look at the job descriptions many are for work that require skills, and employers don’t have enough qualified applicants to fill them. If we can develop these skills in Ohio, we can help so many more Ohioans get back to work. This is why Career and Technical Education (CTE), which provides students with the academic and technical skills, knowledge and training necessary to succeed in future careers, is so important. As co-founder and co-chair of the Senate CTE Caucus, I’m working to help connect hardworking Ohioans to good-paying jobs, and to strengthen CTE programs and make them more affordable and accessible. Recently, I introduced legislation called the JOBS Act, which will make CTE programs more affordable for low-income students. Currently, low-income students are eligible for federal Pell Grants if they attend a traditional four-year college, but not if they choose to enroll in an accredited CTE program. That doesn’t make sense. The JOBS Act will make low-income students in shorter-term CTE programs eligible for Pell Grants, which will help put more young people on the path to meaningful employment and give them a better start in their careers. I’ve seen firsthand how these CTE programs work. I went to Stark State community college in Akron recently to talk to students, employers and local community officials. I heard from students there who are currently working for The K Company, an HVAC company that is working with Stark State and local high school students to prepare them for jobs in the HVAC field. Stark State President Dr. Para Jones, along with the students and employers I talked to, are excited about the JOBS Act because it will help them increase access to these vital programs. I also heard from leaders at a company in Hubbard, Ohio, Warren Fabricating and Machining, about the need for a skilled workforce. They have job openings but no workers with the skills needed to operate the heavy machinery to fill them. The JOBS Act will help companies like Warren Fab find the workforce needed to operate at full capacity. And I was recently with President Trump when he came to the Joint Systems Manufacturing Center in Lima. Congress has increased funding for tank production in recent years, and the tank plant will be hiring 400 additional workers in the next year. They need welders, machinists, assembly workers, and engineers. These are good-paying jobs, and the JOBS Act will help ensure they have qualified workers to fill them. My top priority in the Senate this year is the JOBS Act. If we make Career and Technical Education a priority – and if we enact the JOBS Act – we’re going to help people get good-paying jobs and achieve their dreams. I’m excited about the opportunity to help our economy, and help more young people develop the skills they need to grow in the career of their choice. 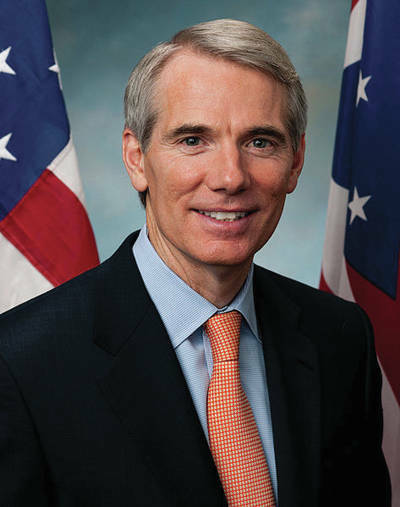 Rob Portman (R-Ohio) represents the state in the U.S. Senate.